Car/Door Unlocking: Need a Door or a Car Unlocked in Sherman Oaks CA? If you have left your car keys inside the car and you are locked out of your car, then think no further and call a local locskmith in Sherman Oaks CA. It is best to let a professional locksmith handle such an emergency situation. Our Emergency Door/Car Unlockers and auto/car locksmiths are available 24 hours and can offer a wide range of services such as re-keying door locks, unlocking cars, emergency door unlock, replacement keys, extracting broken keys and emergency trunk release. In any kind of emergency for unlocking any door or lock in Sherman Oaks CA, just give us a call and we will be right there to solve your problem. Our Sherman Oaks locksmiths and car unlockers are skilled to handle such situations easily. They have received extensive training in car door unlocking and emergency door unlocking. 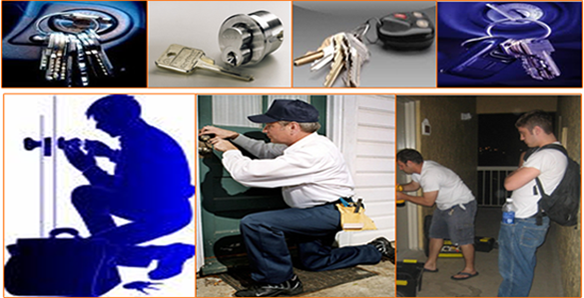 Our team of professionals have confidence to pick any lock with little or no damage to the lock or door.. In case of any emergency in day or night, holiday or on weekend we will solve your problem at best price. We at Sherman Oaks Locksmith (California), provide a cost estimate of our services before starting on your car or door unlock task. We believe in building up lifelong relationship with good customer base and for that we always stick to professionalism.